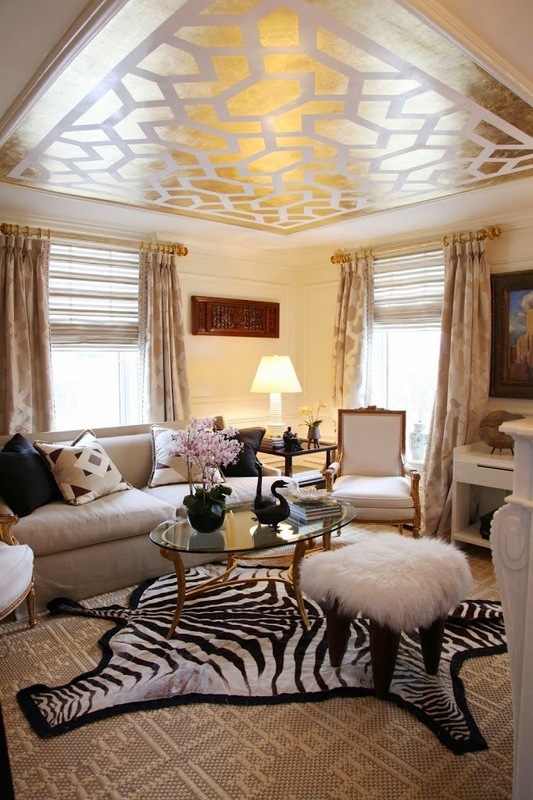 In designing a room, it’s so easy to overlook one element that can make a huge impact: the ceiling. 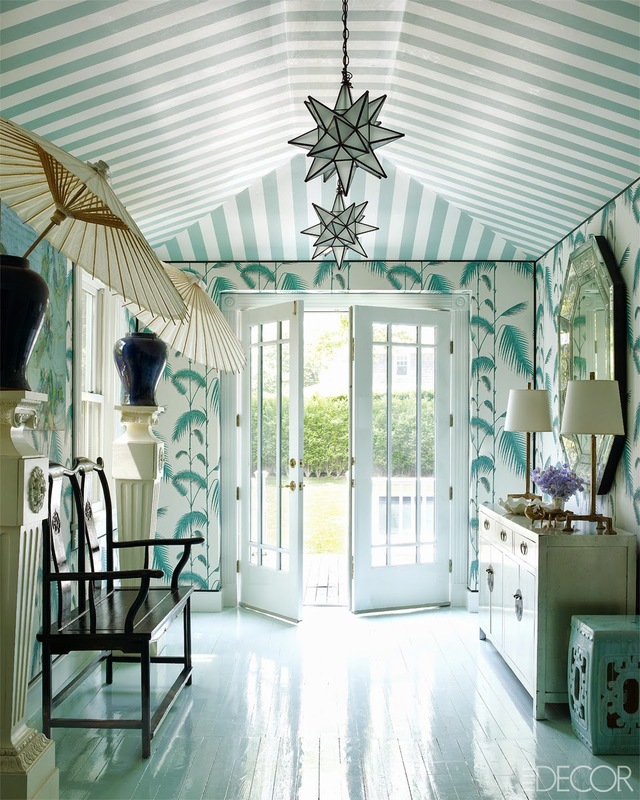 Every time I see a wallpapered, striped, or lacquered ceiling my heart skips a beat and I can’t help but feel impressed. From the whimsical to the completely sophisticated, I wanted to round up my favorite rooms with that wow factor from the top. 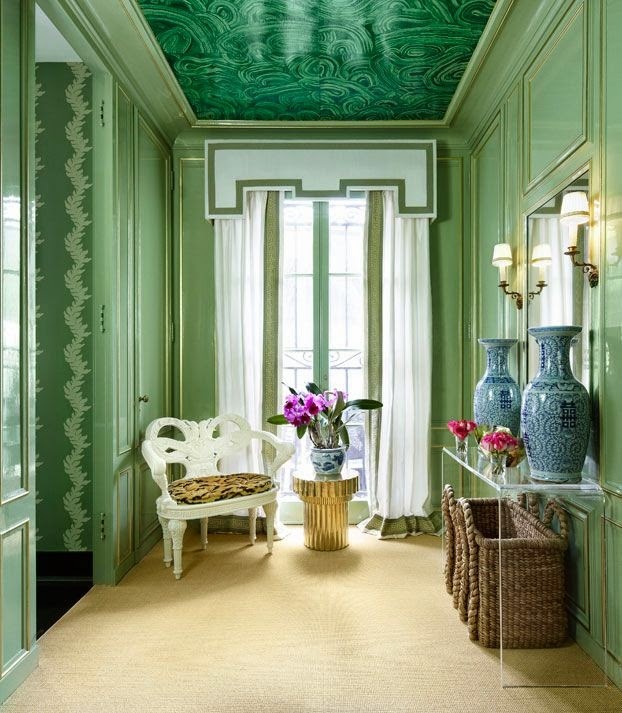 What do you think about a fancy ceiling?? Someone once famously said “You’ll never have a second chance to make a first impression.” While this is true in relationships, it’s also true in your home. 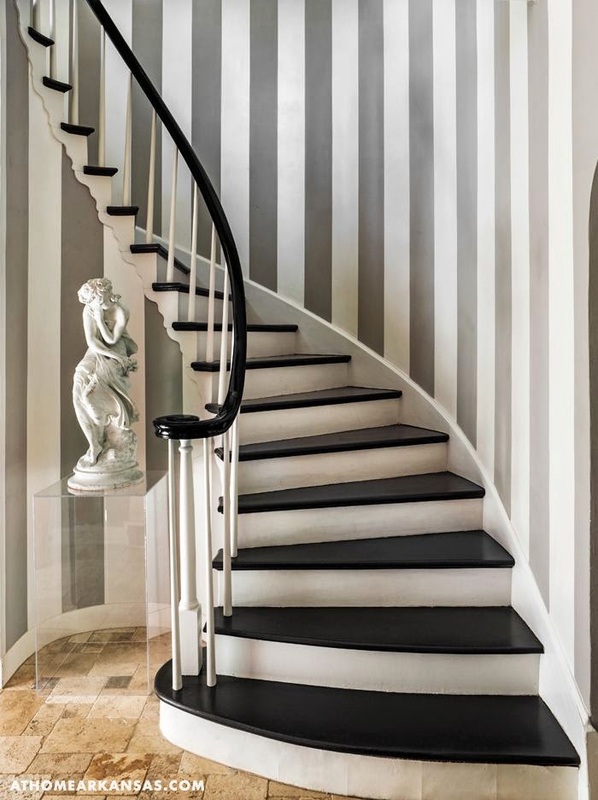 Your entryway, foyer, hallway, whatever it may be — the first thing someone sees when he or she walks in your door should set the tone for the rest of your home. A daunting task but also very fun! You can use the space to show off your favorite antiques, to use a bold color, to gather your family’s essentials mudroom-style. No matter how you use that space, it will leave an impression. 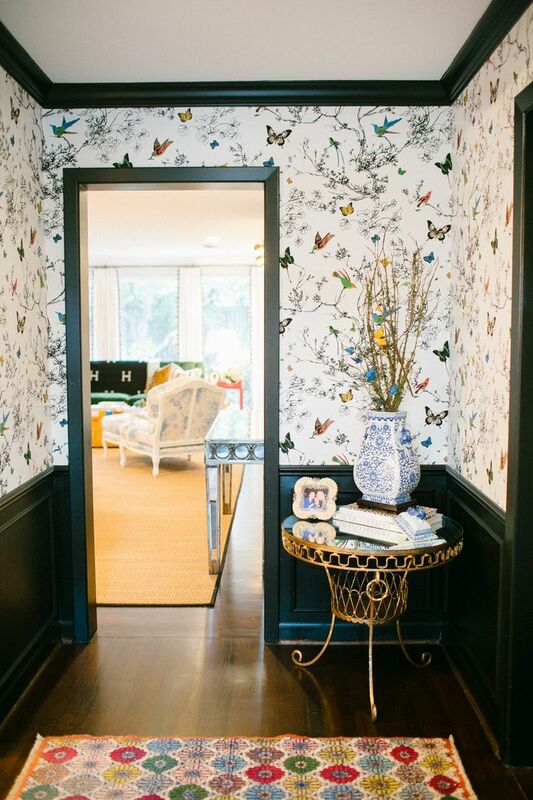 With foyers on my mind, I’ve rounded up some of my favorite “first impressions.” Enjoy! If you read At Home, you know we feature a collection nearly every month (click here). And today, our columnist, Cece Fourchy, takes the concept of collecting and goes to town with it! Hoping to start her own collection, she gathered a few for inspiration, from designers, editors and fashion bloggers alike. Smitten with Cece’s style? Check out her blog, Mississippi Maven! And click here for more from her At Home blog column. Most people have collected something or started a collection of some kind at some point. 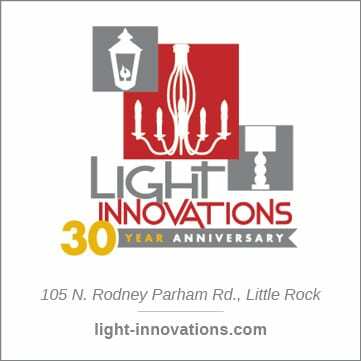 For most, itâs things like baseball cards, old postage stamps, or antique silver. For me, during a brief (and embarrassing) part of my young life, it was Beanie Babies. In terms of decorating, thereâs not a whole lot you can do with Beanie Babies except for arranging them in a little grouping on your bed, or maybe sitting them together on your dresser. And trust me, the look is not very glamorous. My Beanie days behind me, Iâm dying to start a more adult collection (maybe fabulous china, maybe Limoges boxesâ¦), and hopefully incorporate it into my decorating scheme. I think displaying collections adds such a personal touch to a home, and it would be wonderful to glance at a collection of things that have stories behind them. Before I settle on my collection, Iâm drawing inspiration from those who display their passions with style. 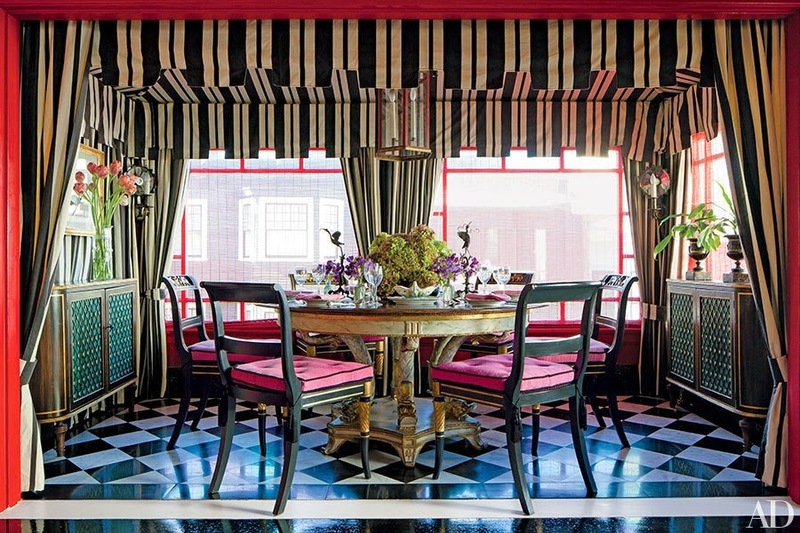 I love how Hamish Bowles displays his assemblage of fezzes on stacks of books and a stereo on this console table. 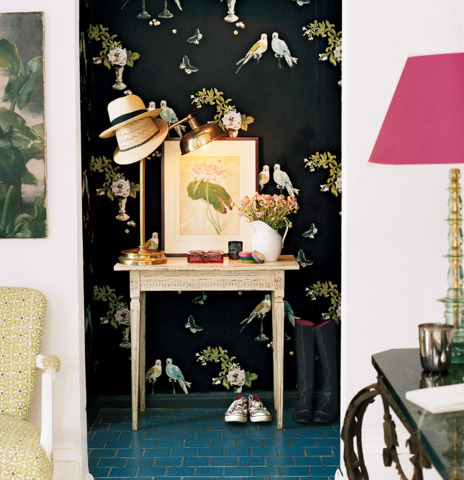 The hats perfectly distract from the technological look of the speakers and add a touch of bold color. A grouping of antique glove molds in fashion designer Erin Fetherstonâs apartment renders a dramatic effect when diplayed on a white shelf. Â Jane Aldridge of the fashion blog Sea of Shoes proudly displays her shoes like a work of art. If I had her shoe collection, I think Iâd be showing it off too. A classically fabulous fine china collection serves as wall decoration in the breakfast room of this English country home. 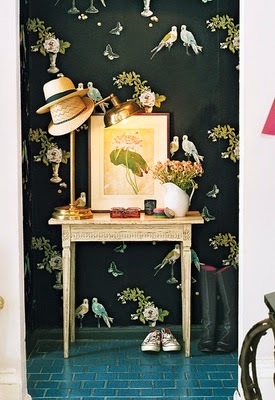 Â Herve Pierre gives his hat collection purpose with this tres chic vignette. Whimsical and unique, this is exactly the look I want to go for. 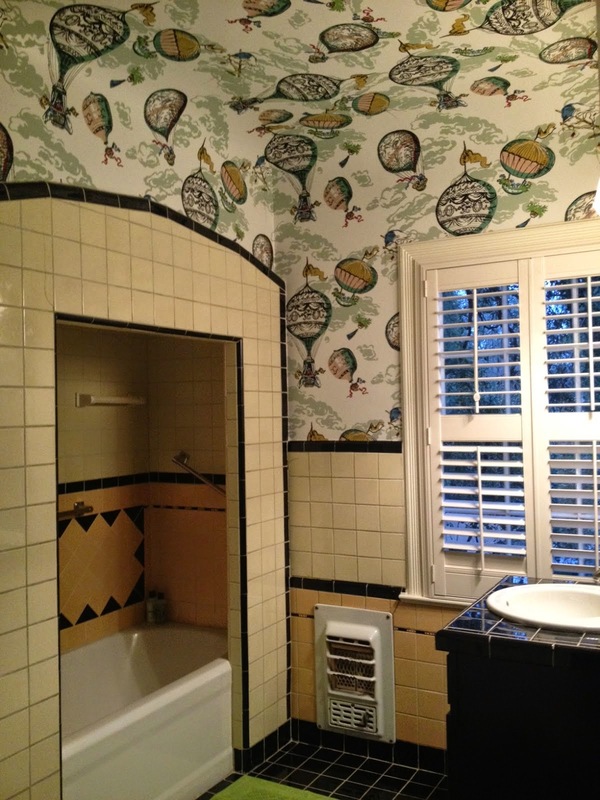 Â In Polly Mellenâs bathroom, the only decorations are framed Christmas cards from the one and only Yves Saint Laurent. What more could you need?? I think a great excuse to start accumulating various Hermes items would be to use the boxes as decoration. The perfect pop of famous orange totally changes the look of a room. Ten Birkin bags for me please! 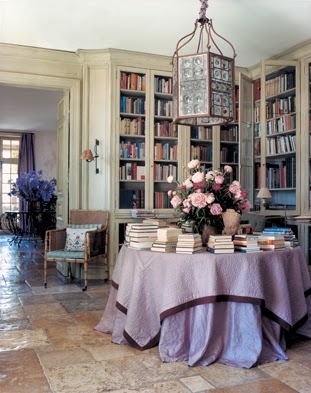 Â Ines de la Fressange, Parisian style arbiter and muse extraordinaire, has an array of personal touches all around her pink apartment. These cigarette boxes, printed with the designs of classic literature, are placed amongst other special objects for a truly personal look. What could be more luxurious than having both the time and a day bed set aside for a mid-day nap? It appears At Home columnist Cece Fourchy of Mississippi Maven agrees! Cece’s discerning eye for design never lets us down. This month, she’s pulled together seven of the most glorious images, celebrating day beds in all their stylish, self-indulgent glory. Ever since I visited Versailles in 8th grade, most of my days have been spent dreaming I had Marie Antoinetteâs life (without the whole guillotine ending). Since I canât have her clothes, her lavish parties or her royal title, Iâd like to take a cue from her decorating style. Yards of fancy fabric would be fabulous, yes, but what I really want is a daybed. 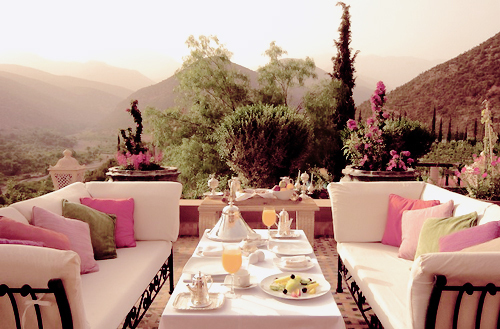 Iâd lounge in my cozy oasis all day, sipping my tea (champagne) and eating fresh fruit (pain au chocolat). Seriouslyâ¦.itâs a bed, specifically for day time. I just canât get enough of the idea! Apparently Iâm not the only one who loves the concept. 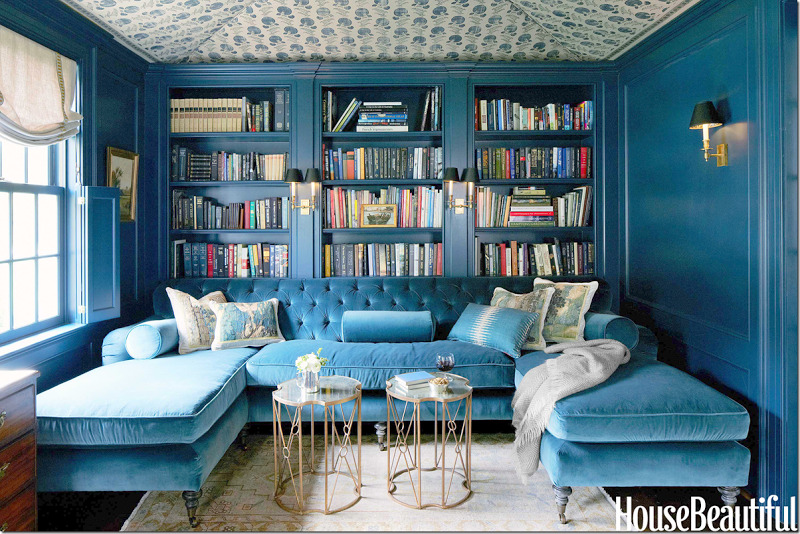 Check out these other delightful daybedsâ¦. 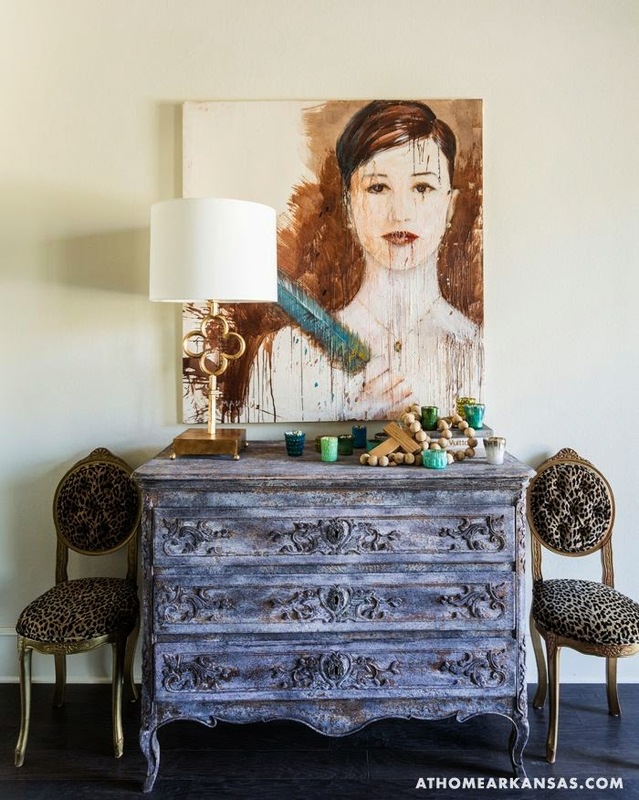 I love this ornate piece featured in ELLE DÃ©cor. I think I need it for my (imaginary) Moroccan vacation home. There’s just enough time to round out your holiday decor with a few of Cece Fourchy’s whimsical favorites. Let us know what decor you prefer! Are peacock tree toppers or paper chains more your style? Christmas is right around the corner and instead of doing things like arm wrestling people for family gifts like I should be, Iâve been obsessing over decorating. Classic, colorful, cozy decorating. (I have also been taking this opportunity to consume plenty of cookies and hot chocolate.) This year I have opted for a whimsical Christmas theme, complete with paper chains, popcorn garlands, holiday needlepoint pillows and plenty of color. While I always love the all-white holiday look, I felt like shaking things up. Besides visions of sugar plums, these fabulous and festive decorating schemes gave me ample inspiration. This lovely living room belongs to Amanda Brooks and was featured in APT with LSD on Vogue.com. I absolutely LOVE this cozy scene and everything in it, from the vibrant Christmas tree to the oversized fireplace and the sweet dog taking a nap in his chair. Leave it to Mary McDonald to take Christmas decorating to a new level. A peacock as a tree-topper?? Iâm taking notes. An inspiring party scene from Rue magazine, the perfect combination of tartan, toile and greenery made my heart skip a beat. 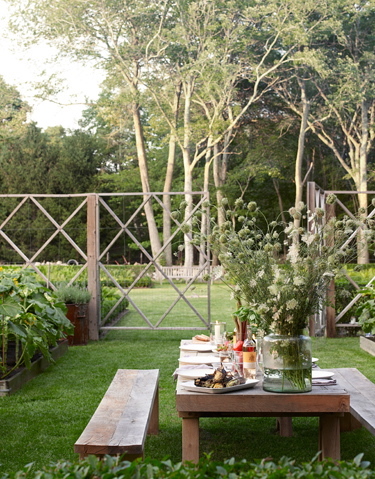 Canât you imagine nibbling fabulous hors d’oeuvres and sipping cider in such a festive setting? Relaxed and whimsical, this room is my favorite in the bunch. 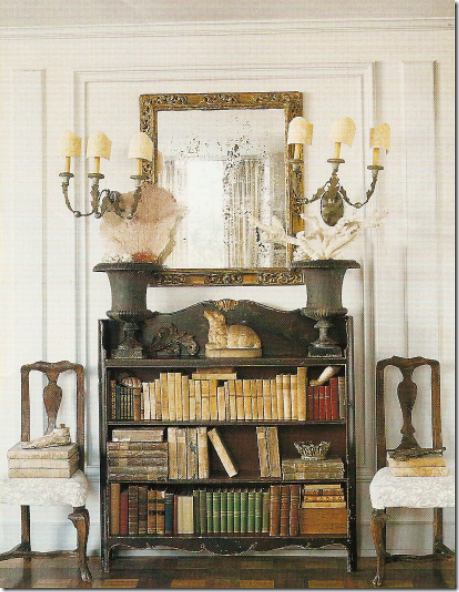 I spotted it on Atlantis Home (originally featured in D Home) and have been smitten ever since. I just love the paper chain around the chandelier and the string of Christmas cards decorating the mantel. Blues and greens and reds, oh my! 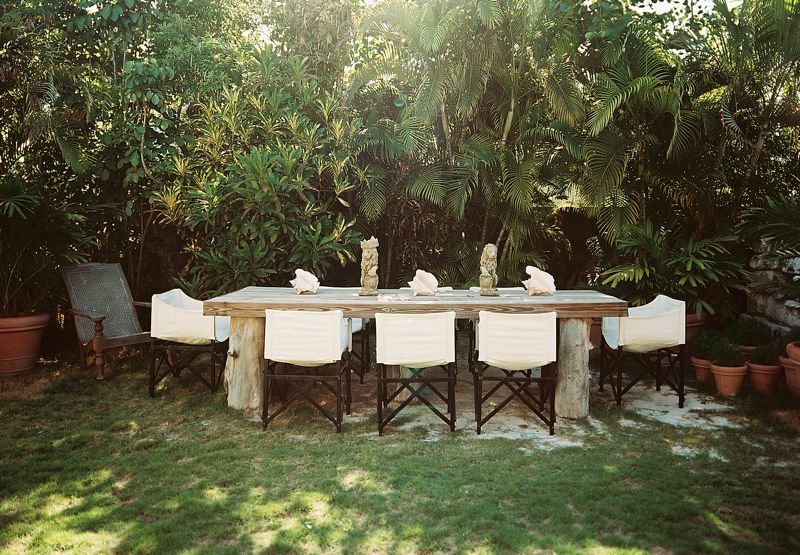 Queen of posh parties Lulu Powers created this coffee table setting in her living room for Lonny last year. 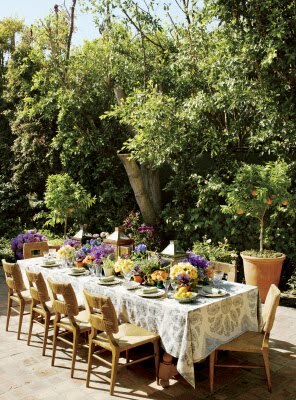 With scattered greenery, plenty of candles and groups of ornaments, this is a quick and easy way to spruce up a room. 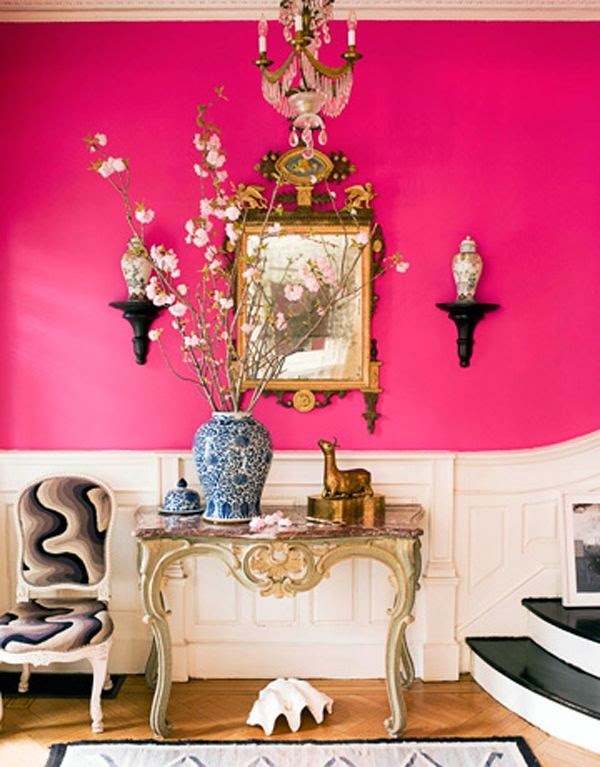 Miles Reddâ¦.what else is there to say? He perfectly integrated the blues and whites of this scheme with fresh greenery for a spell-binding, stylish look. 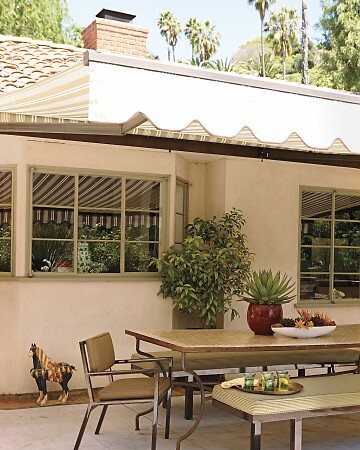 Going bold in home design is an admirable 2012 resolution for someone accustomed to neutral interiors, but Cece Fourchy of Mississippi Maven is taking on the challenge! Considering her round-up of color saturated rooms, we say she’s got a bright future ahead of her. January is all about resolutions. While everyone else is promising themselves to work out more, eat less and spend less, all Iâm thinking about is decorating (are you surprised?). In 2012 Iâm resolving to go bold with dÃ©cor. Donât get me wrongâI love my neutral boudoir, my creamy sofa, my subdued powder room. But this year, Iâm going to throw some serious color in the mix. A turquoise screen? Sure! A purple breakfast nook? Why not?! 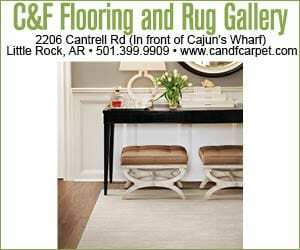 This monthâs issue of At Home in Arkansas is about âA Fresh Startâ and what better way to freshen things up than a bright coat of paint or a fabulous fabric? I understand it may be hard to envision glowing greens and striking reds on a gloomy January day, so here are some photos to get you inspired. Enjoy! Katie Ridder knows what Iâm talking about: that green! Those flowers! 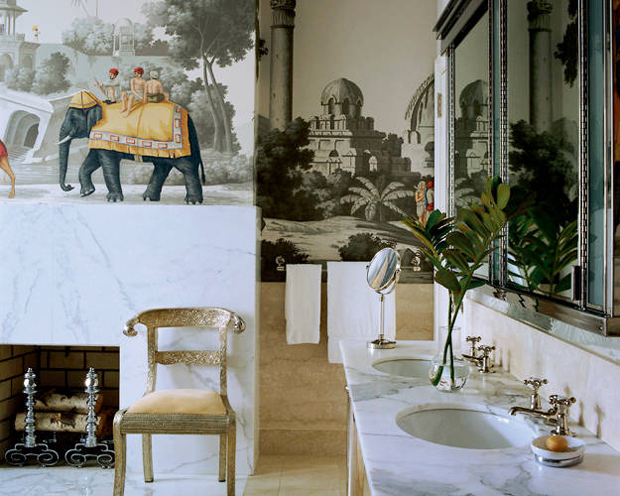 Iâm absolutely in love with this powder room. When Lonny featured the home of Ruthie Sommers a few months ago, I couldnât have been happier. So much inspiration for my bold resolution! Her cozy library has saturated red walls and fun colorful furniture. I canât get enough of this scene from ELLE DÃ©cor. 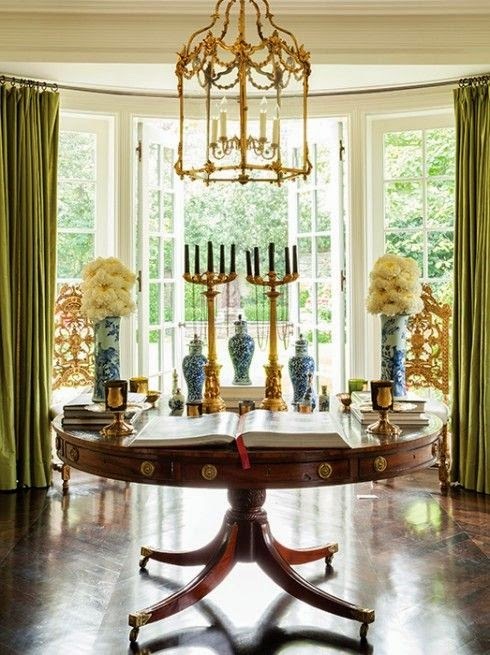 An easy way to give any room a dose of color, the turquoise lacquer screen is a show-stopper. Leave it to David Hicks to make a pink canopy bed ultra-sophisticated. And those chartreuse chairs? Iâll take two, please. gives this bathroom a vibrant look with red toile wallpaper and a fresh coat of paint on the tub. The rubber duck is clearly a must. How could I talk about bold colors in 2012 without mentioning Tangerine Tango? In tune with Pantoneâs color selection, Aerin Lauderâs living room is tres chic with orange walls and a leopard print sofa. Iâve not always been a huge fan of purple, but this fabulous dining nook from House Beautiful has me convinced. Wouldnât you love to have French pressed coffee and a croissant in here every morning? 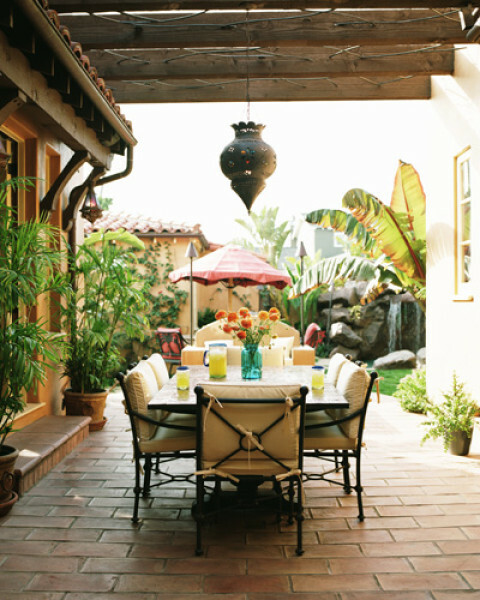 What are your decorating resolutions for 2012?? My goodness, Cece Fourchy is KILLING us with her fabulous posts lately! 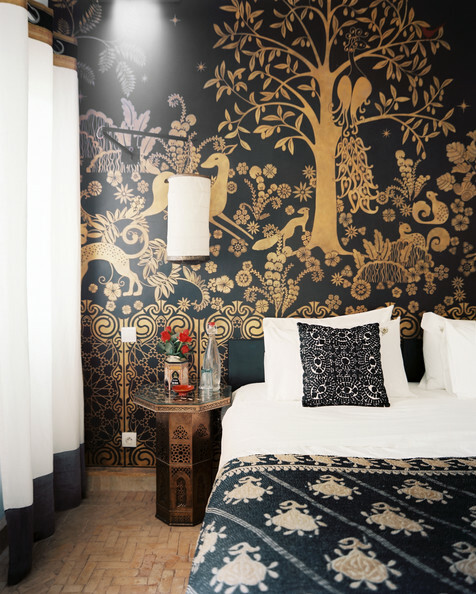 Whoever thinks wallpaper is outdated should think again. 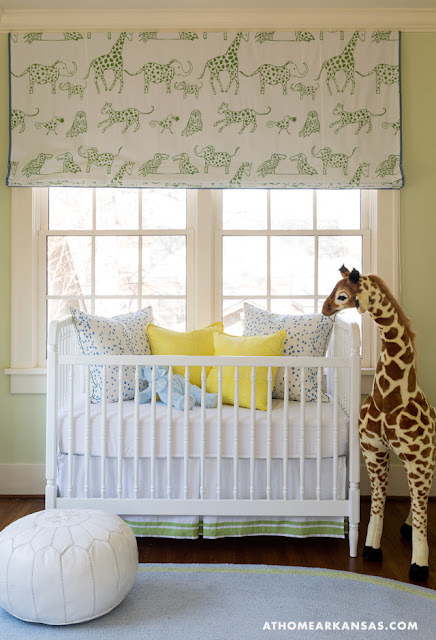 Cece’s roundup of her favorite wallpapered rooms will have you papering every wall in the house. And maybe even the ceiling too. Get to know Cece a little better here, and on her own blog, Mississippi Maven. 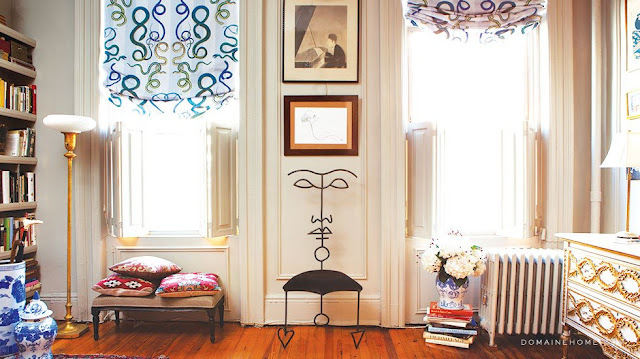 When I spotted this shot of It girl Chloe Sevignyâs apartment in an old issue of House & Garden, my jaw dropped. That trellis print! It also doesnât hurt that the bicycle matches perfectly. Miles Redd takes a cue from Margot Tenenbaum with this red zebra in his powder room, featured in ELLE DÃ©cor. 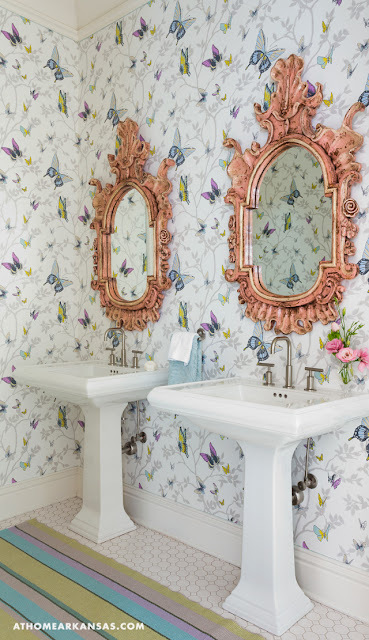 Steven Gambrel gave wall covering a new spin with an array of botanical prints in this bathroom. I love how it has the feel of a collage without losing an ounce of sophistication. Aerin Lauder, possibly the chicest gal on the planet, repeats the black and ivory print of her walls with a ruffled bed skirt. The luxe fur throw and oversized monograms are the perfect finishing touches. 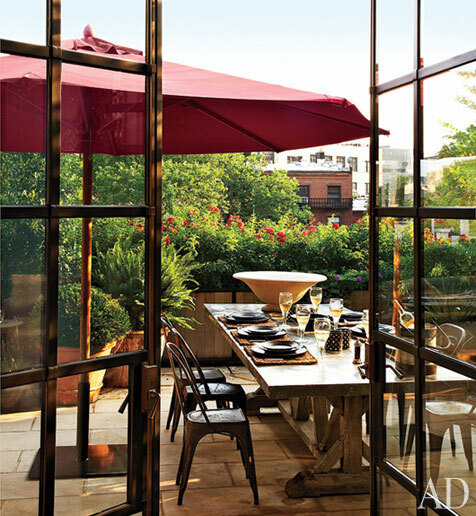 This apartment featured in Vogue is one of my all-time favorites. The modern art on the walls may not be actual wallpaper, but it serves as a perfectly colorful backdrop in this stunning room. 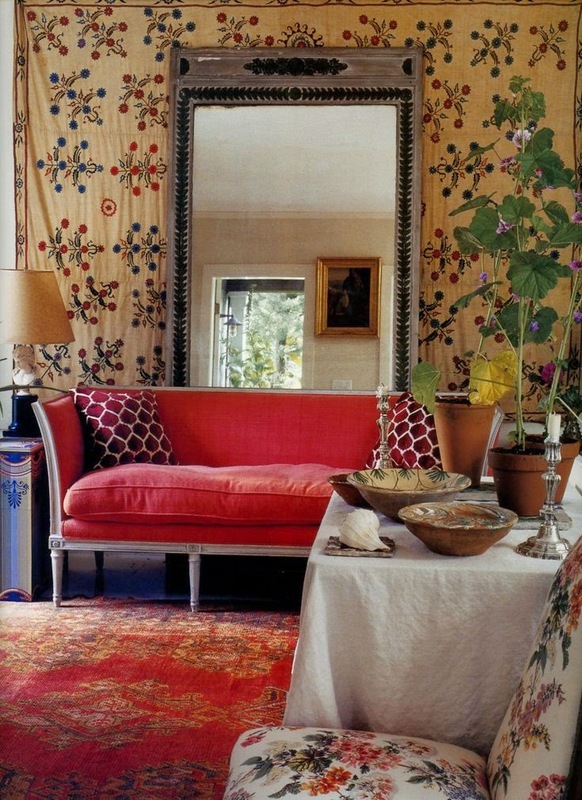 Donât you love the lush fabrics and mixed patterns of the furniture? 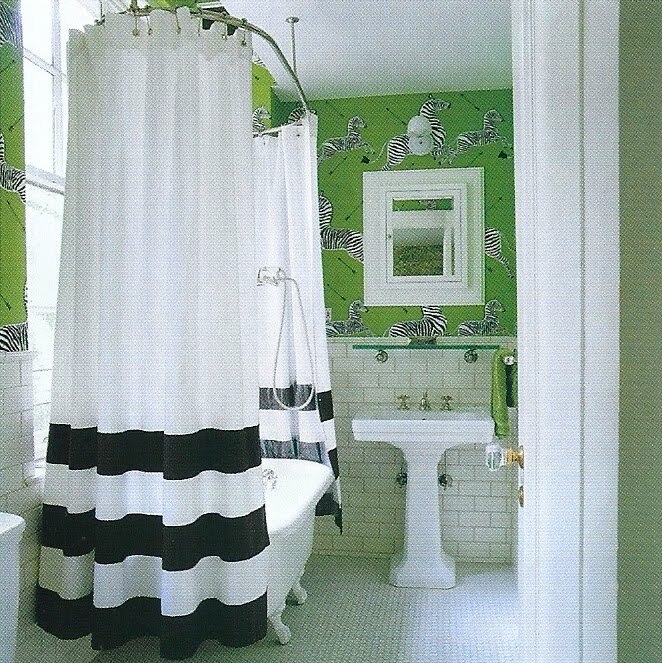 A classic statement for a home in New Orleans, this wallpaper featured in Lonny could not be more chic. I imagine it in my (imaginary) enormous mansionâs foyer, accented with a glittering crystal chandelier. Betsy Burnham brings her eye for mixing patterns to her office with this striking red floral motif. She accents it perfectly with every detail. Wouldnât you love coming to work in this space?